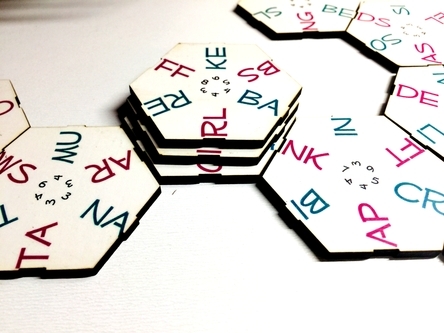 Hex-A-Spell is a hexagonal four-letter word game for your family or school. Connect two-letter bigram fragments to form four-letter words. In this family word game, the goal is to make four-letter words from two-letter fragments (bigrams) and score top points. 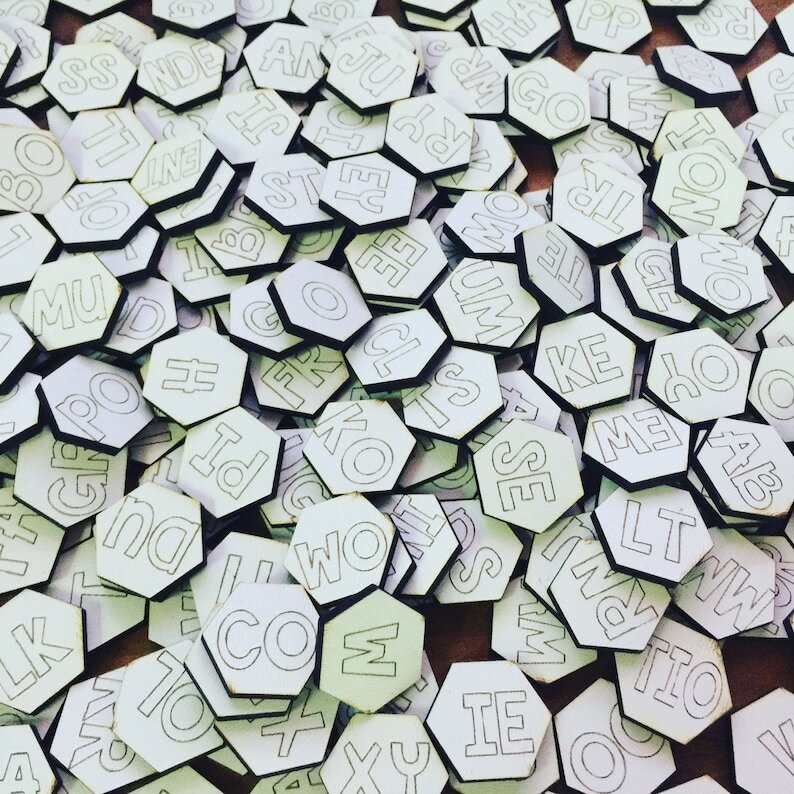 Compete with word fragments on hexagonal tiles. Form words in any direction using the most common bigrams in the English language. 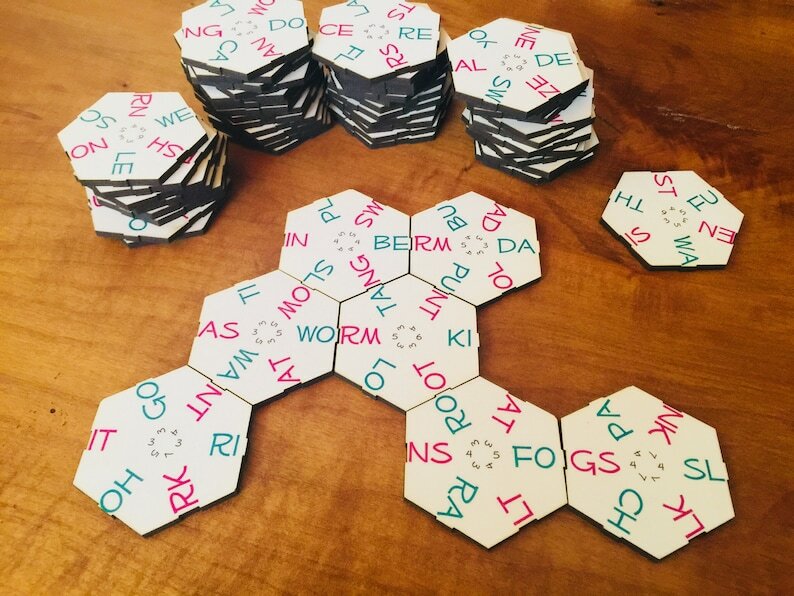 Each Hex-a-Spell tile contains six two-letter fragments called bigrams. Two bigrams are combined to form a four-letter word. 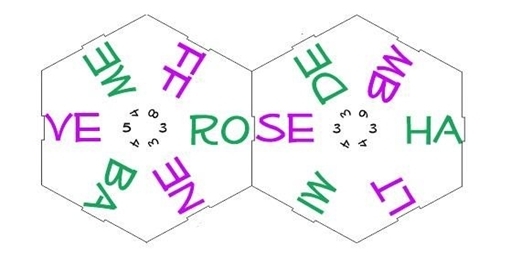 There are three starting bigrams and three ending bigrams on each tile - three are the starts of four-letter words, while the other three are used to form the ends of words. Green bigrams will start a word while purple bigrams are used at the end of words. Bigrams alternate orientation to allow forming words in any direction. Each bigram has an adjacent point value from 3 to 9 points. The bigrams in the game have been programmatically selected and arranged from the most common bigrams in the English language. 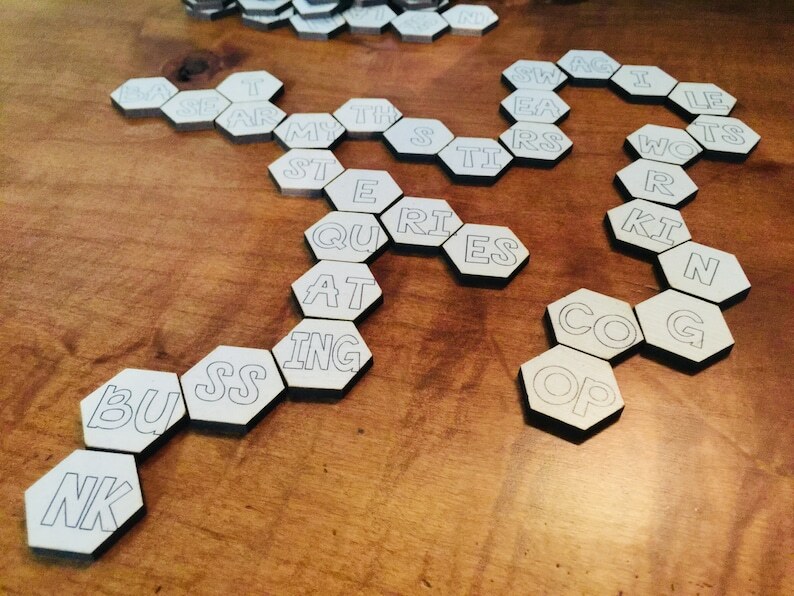 Word Worm is another hexagonal spelling game. You get to make "snaking", worm-like connections. There is either one letter or two letter fragments per tile. 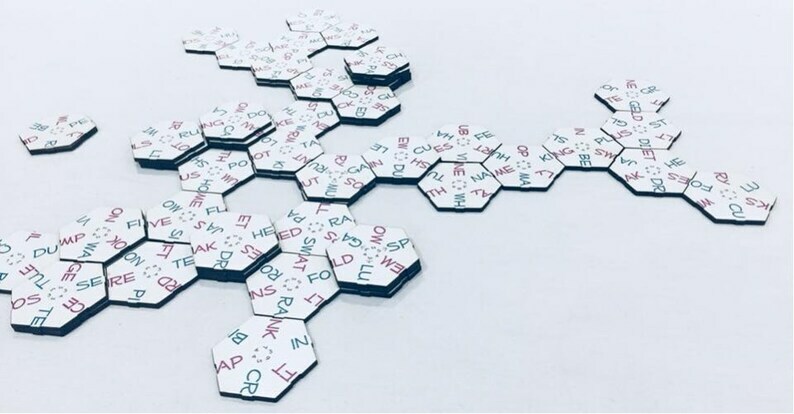 This allows you to make and expand words across consecutive tiles. While playing, the game looks like interconnected snakes or worms. 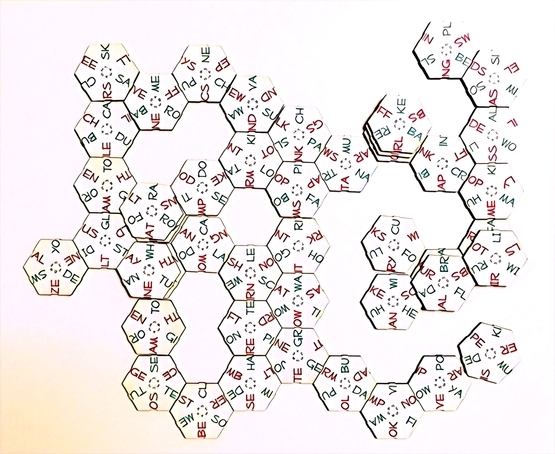 Almost 250 lasercut wooden tiles. Wooden tiles are 1/8-inch thick and are very durable.